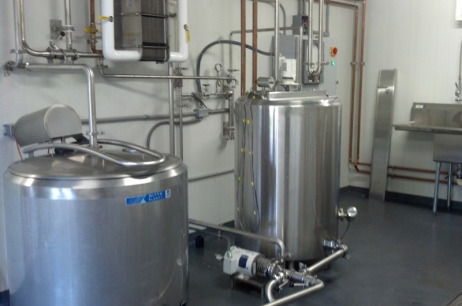 Why Low Temperature Vat Pasteurization? We operate an eight stall milking parlor and a processing plant. 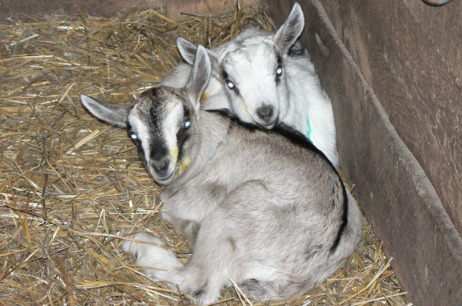 This allows us to produce and process Grade A Whole Pasteurized Creamline Goat Milk. 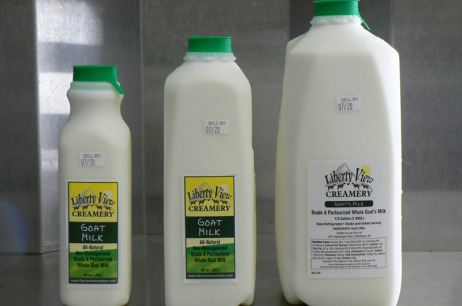 We are one of only three federally inspected and approved plants in PA that process Grade A pasteurized goat milk, and the only one to process its own milk. Matt Carman – owner of Liberty View Creamery, LLC and Carman’s Tailwaggers; along with his mother Deb Carman, owner of Goat Soap Chalet, LLC – are located in the beautiful countryside of the Littlestown / Gettysburg area of southern Pennsylvania. We have Alpine, LaMancha, and Saanen Milking does. We offer Buck service for Alpines, LaManchas, and Saanens. We participate in the following improvement programs: Linear Appraisal, DHIA, and CAE Prevention. We have been members of ADGA since 1997.